A few weeks back, the headlines screamed that Netflix sold off after earnings due to missing big on projected subscriber growth. That may be true on some level, though we know the overall growth in NFLX has been one of the more impressive stories since at least 2013, with plenty of international potential still on the horizon. One issue I see is a bit ironic, considering the notion of original content on NFLX is still a relatively new concept, and it seems like yesterday that everyone was complaining about how little selection there is on Netflix, indeed. 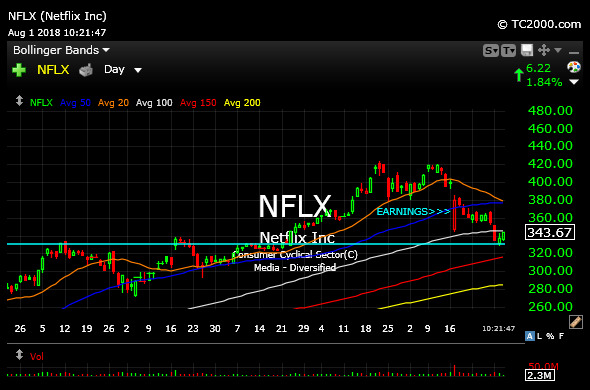 But now NFLX may have overshot on some level, with crime shows reaching a saturation point. 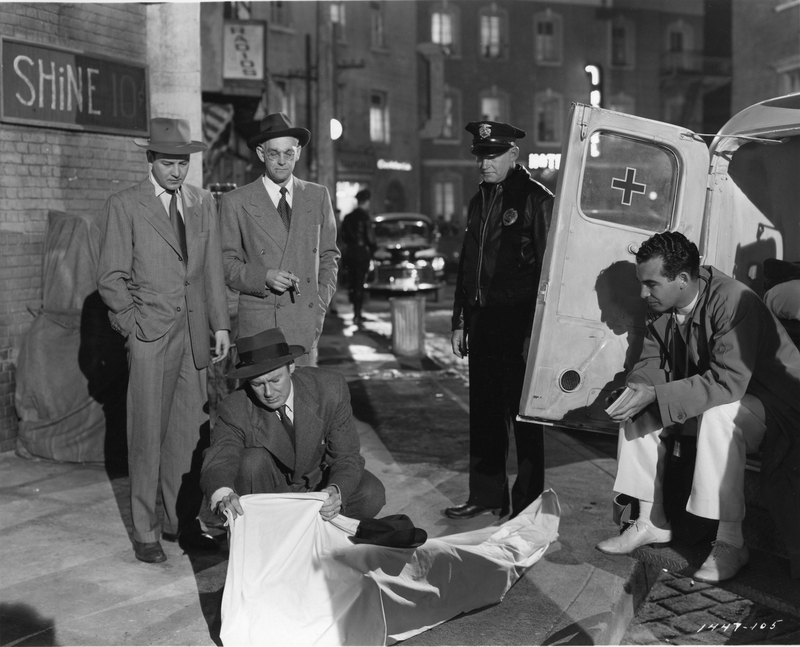 At a minimum, I suspect many subscribers are becoming quite blasé with the plethora of crime shows which now seem too numerous to name on NFLX. At any rate, turning to the technicals our main message for Members after earnings was to let such a visible name settle down for at least a few days if not weeks. After stepping aside and letting others get chopped out with their overzealous urge to step in an declare a bottom, we now have a more defined long setup headed into the FOMC later today. As long as NFLX holds $330, below, which marked stiff resistance in March, April, and May of this year, then we have a nice "returning to the scene of the crime" long setup, where prior resistance now converts newfound support, surely a basic, bullish tenet of technical analysis. Also note NFLX's 50-day moving average (dark blue line on daily chart, below) is still rising, albeit at a much more pedestrian pace than before earnings. If bulls are to put a true floor under the stock this summer, then this area makes the most sense with a move back under $330 now serving as a clear warning sign for longs to step aside to avoid a potential 200-day moving average test next.